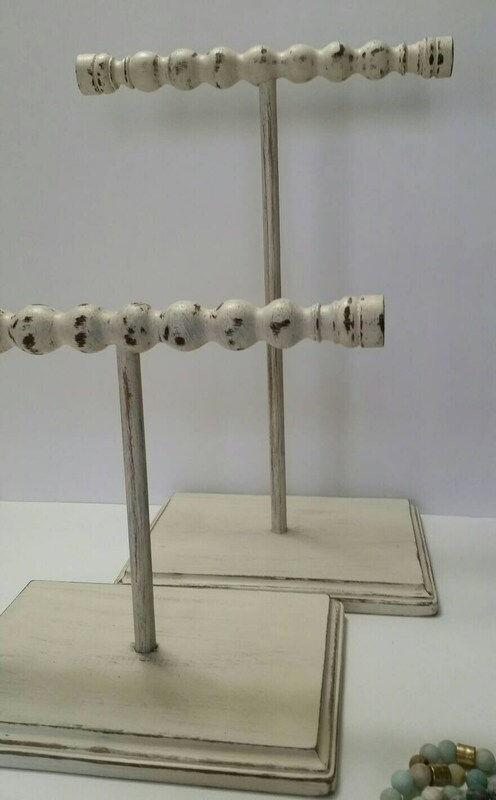 Jewelry Organizer/Necklace Bracelet Holder/ Display/ Organizer Stand / Vintage Spindles / Distressed White. 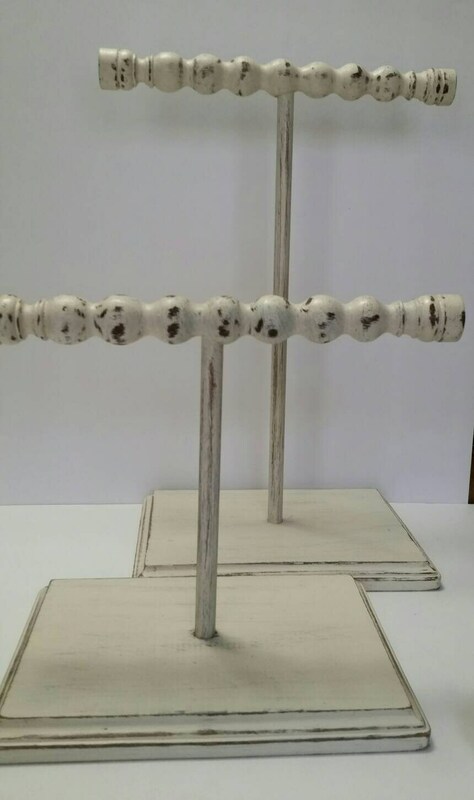 Here we have a large or small T-bar necklace - bracelet holder / Display / Organizer in white Distressed wood. 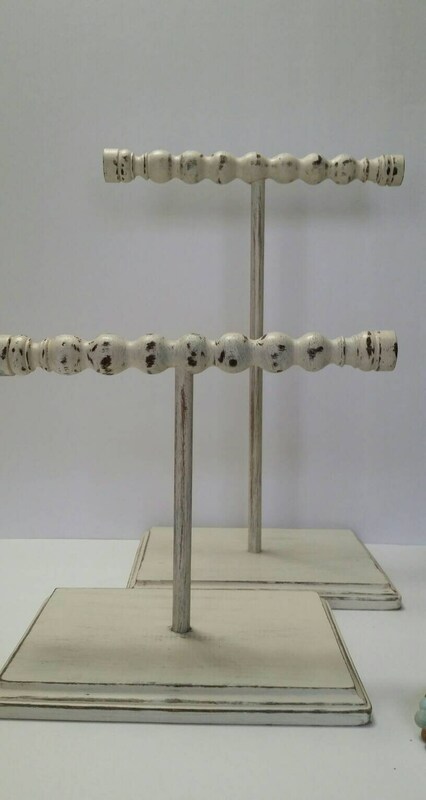 It is just a beautiful piece to organize or display jewelry for your home or retail setting. base is 6 1/2" deep. 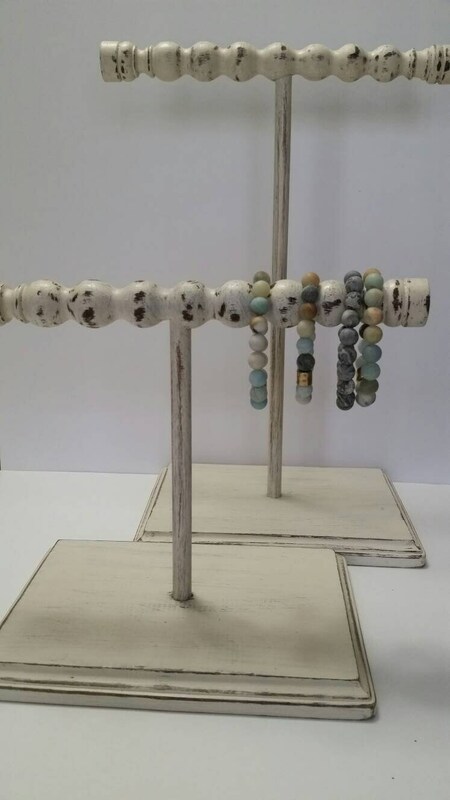 This display stand that is made to last we use as much salvaged wood as we can get our hand on. 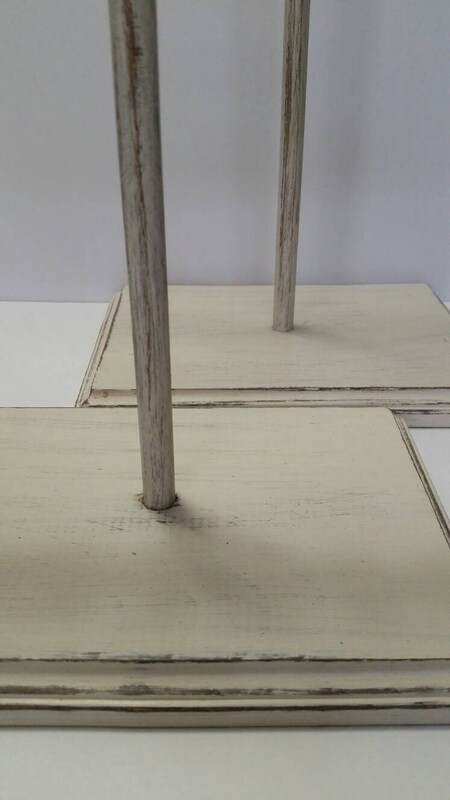 Each will vary in appearance due to the vintage and salvaged supplies.